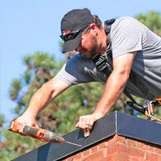 Our CSIA certified chimney technicians serve Buckhead GA and the surrounding towns & communities including Brookhaven, Dunwoody, Vinings, Dawsonville GA, Tucker GA, Smyrna GA and more. 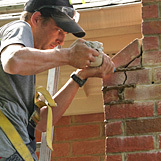 Chimney Solutions provides chimney sweep services like chimney inspections, chimney cleanings, chimney repairs, annual chimney maintenance, chimney rebuilding and more. 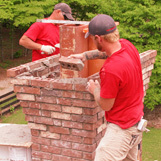 If you are looking for fully trained & certified chimney sweep contractors in Buckhead GA or the Greater Atlanta area, look no further than Chimney Solutions. Established in 1998, we’ve been delivering quality workmanship, reliable service, and fair prices for chimney repair needs across the area. Since we stand behind every job we complete, our satisfied customers regularly recommend us to their neighbors, friends, and family. Serving Buckhead GA, our CSIA certified chimney professionals will always arrive on time, in company uniform, and a clearly marked company vehicle. We gladly provide written estimates and a full explanation of any recommended services so customers can rest assured that the work being done meets & exceeds industry standards. Up & down Interstate 75, Rt 19, and Rt 400 and across West Paces Ferry Rd and Wesley Rd, Residents will spot our distinct company vehicles traveling on their way to deliver chimney services to homeowners across the town of Buckhead. 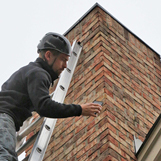 Chimney cap installations, chimney relining, chimney rebuilding, crown repair and sealing, chimney waterproofing, and fireplace insert & stove installations are just a few of the chimney sweep services we can provide. Our high standards of workmanship and dedication to every job have helped us gain thousands of satisfied customers. It’s no wonder we’ve become the chimney sweep of choice for Buckhead GA and the Greater Atlanta area. Not only are we fully insured, but we always ensure that your space is left cleaner than what it was when we arrived to start our job. We remain good standing members of the Chimney Safety Institute of America and the National Chimney Sweep Guild so that we can stay on top of changing industry standards, best practices, and new products. Always take care when hiring a chimney sweep contractor. Don’t be baited in by “cheap sweeps” who advertise lower-than-normal prices for common chimney sweep services. It will cost you more in the long run! Once they win jobs through their low price promises, they arrive at your home to perform a quick inspection or cleaning. Their main goal is not to provide a low cost service for homeowners, but instead to upsell homeowners into believing that their home & safety is in serious danger due to a faulty or deteriorating chimney system. Don’t fall for the “cheap sweep” scam. Never agree to extensive or costly repairs without a second opinion from a reputable chimney sweep first. 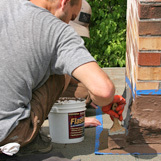 In most cases, extensive repairs are NOT needed but since these unscrupulous companies know that many homeowners are unaware of the condition of their chimney system, they use this to their advantage to scare the homeowners into agreeing to repair services. 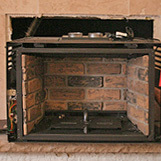 Residents of Buckhead GA count on Chimney Solutions for fireplace, stove, fireplace insert, chimney & venting system needs. GA Chimney Sweeps offer top quality chimney services at a fair and honest price.